Many predicted the decline of earned media five years ago. Instead the opposite has happened - it's become a cornerstone of integrated marketing. Five years ago, during the height of the social media marketing revolution, many experts predicted earned media was going the way of the buggy whip. Fast forward to 2015, and the practice is more important than ever for brands large and small as we enter the mobile-first age. Media is a constant companion for consumers, and they are increasingly seeking authentic and original sources for news and content, sometimes at the expense of other forms of marketing, such as advertising, corporate blogs, or pay-for-pay articles. Social media networks will rapidly decrease the organic reach of brands’ content, despite the number of fans, followers, and engagement. Without an ad buy, brands will be invisible on these social platforms. So it’s accurate to say earned media relations will be one of the only ways brands can receive true third-party validation – informing, educating, and driving decisions. It is becoming the cornerstone in the modern media relations definition of earned, owned, and content generation. Compare this with five years ago when Facebook and Twitter were the new vehicles to promote brand stories. This year, both channels will become paid publishing platforms, creating the age of "Facebook Zero" and "Twitter Zero," a term coined by my colleagues at Social@Ogilvy. The organic reach of the branded content published on these platforms will hit zero, making earned media more essential than ever. It must be said that these days, earned media has to work harder to make the "sale," but there is no denying how well the results positively impact the bottom line. Public relations generates impactful touch points and significantly increases word of mouth, which is the highest converter of sales. Consider these data points: word-of-mouth recommendations from friends and family are still the most influential, as 84% of global respondents in 58 countries told a Nielsen online survey that this source was the most trustworthy. We are also seeing a shift from storytelling to "data-telling," and the next generation of media specialists needs to become more than just great corporate storytellers. Modern PR practitioners must become experts in interpreting and communicating data in story form by using the abundance of data analytics accumulated by companies to tell stories and drive the data-journalism movement. The "connected" business tracks all of its assets and can analyze trends in their industry at a moment’s notice. A great media specialist will use a brand’s data to leverage a good story and beat the competition. It makes sense in the world we live in today; consumers are hungry for statistics and tweet-length, hashtag conclusions. Recently, several news outlets launched websites dedicated to data journalism including Storyline (The Washington Post), Vox, The Upshot (The New York Times), and FiveThirtyEight. Here at Ogilvy, we predict The Wall Street Journal will be the next news outlet to launch a data-driven journalism microsite. Once you’ve successfully placed that informative, data-driven story, how do you measure its impact? For years, Ad Value Equivalency served as our standard for gauging success. Today, ad-equivalency is dead. It’s common knowledge that AVEs don’t account for the tone of coverage or who has seen the coverage, limiting the measurement to a crude metric of column inches. Luckily, our industry finally has accurate measurement tools to define success. In the digital age, keystrokes and the authenticity of clicks are easy to track. In 2015, multi-platform content will be king, and video wears the crown when it comes to tools to use in this category. Video is most effective because people process the medium 60,000 times faster than text, and in terms of brand exposure, it is 50 times easier to get a video to rank on Google’s first page than an article. 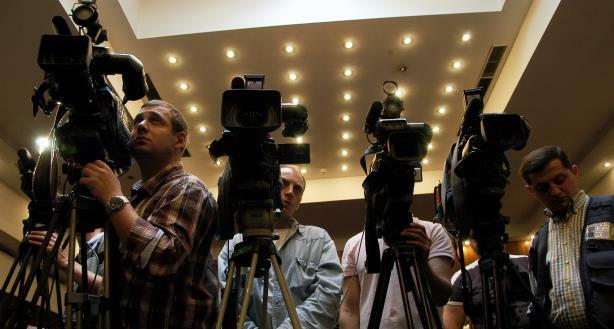 The more the art of media relations changes, the more it stays the same. Our industry is becoming resourceful at mining and converting data into storytelling, and using multimedia content will create even more impactful placements. Every media campaign should focus on a strategic mix of traditional media, social media engagement, and content – content in the form of video, infographics, etc. – to drive influence, decisions, and desired outcomes. Jennifer Risi is managing director of Ogilvy Media Influence and head of media relations for North America at Ogilvy Public Relations.